Imagine purchasing a rare, vintage Rolex watch, universally coveted and haughtily worthy of its lavish price tag-a cool $8,000, no less. Suddenly, the tick is no longer tock-ing and naturally, it is promptly shipped off to Rolex for the needed repairs. Rolex calls. By the way, the dial on that fabulous Rolex is not authentic. Frenzied panic ensues. Is that even possible? Could it be that what was once deemed an invaluable, timeless piece be so rapidly cloaked under a veil of counterfeit fraudulence? This is precisely the unfortunate situation singer and musician John Mayer encountered. In 2007, Mayer embarked on a mission to become a connoisseur of rare, vintage Rolex watches and began purchasing and collecting the exclusive pieces from watch broker, and alleged close friend, Robert Maron. After sending out a watch to Rolex for servicing, Mayer was informed by Rolex that the watch was not truly authentic due to a bezel not intended for that watch and a non-Rolex dial. Mayer is claiming that at least seven of the pricey watches were counterfeit, or “knockoffs” according to Rolex. On March 18, 2014, Mayer sued Maron for breach of contract, fraud, and negligent representation. In essence, what Rolex is arguing is that because some parts on the Rolex watch are not, in fact, authentic pieces, that makes the entire watch a fake-a counterfeit item. So does that mean that sewing different buttons on an otherwise Chanel blouse render it counterfeit? Does changing the band on a Cartier watch render it as a “fake” or “knock-off”? Does Rolex’s claim have merit or is their interpretation of counterfeit misconstrued? This raises a couple of critical issues here. First, what constitutes something as counterfeit? Second, does altering parts on a Rolex watch render it counterfeit? Most of us have seen a counterfeit item at some point, whether it was a friend screeching in elation that she bought a Louis Vuitton purse for only seventy-five dollars (as compared to the typical $1,500 price), albeit from a sketchy alleyway on Canal Street in downtown Manhattan, or that man sitting across from you sporting cheap sunglasses with “Gucci” haphazardly scrawled on the end pieces. These products, although clearly fake, are not recognized as such by an unsophisticated buyer. They are mere replicas of the real thing and are manufactured with alternate materials, yet they are often difficult to differentiate from authentic products, unless closely examined. Counterfeiting is the act of manufacturing products, selling them under a brand name, such as “Chanel” or “Rolex” or “Louis Vuitton” without the brand owner’s permission to do so. Usually, these unauthorized manufactured goods are of inferior quality and significantly less expensive. 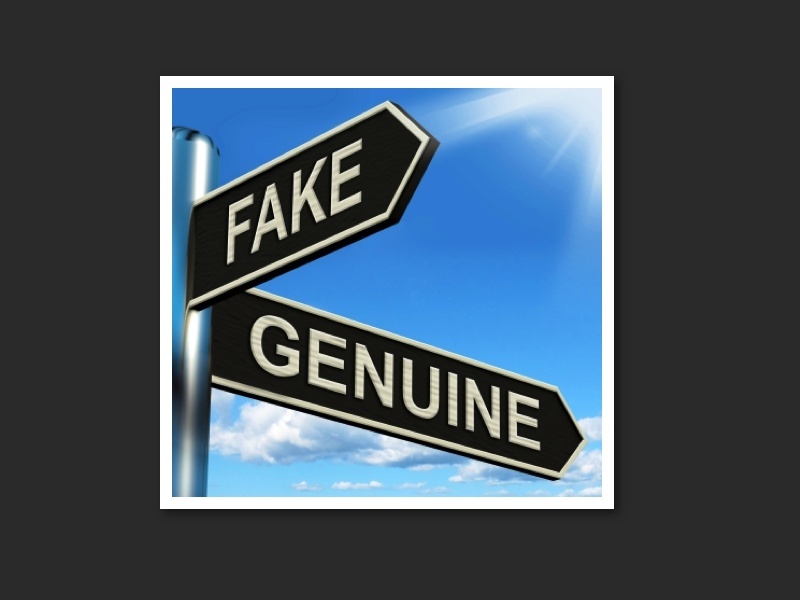 An item that is dubbed a “counterfeit” or “knock-off” is identical with, or substantially indistinguishable from, a mark that is patented or trademarked, which is likely to cause confusion, mistake, or deception. Usually counterfeit items are produced with the intent of fraudulently passing it off as authentic. Counterfeit items can be money, coins, labels, packaging, charms, emblems, purses, watches, jewelry and a vast variety of all types of goods. Hence, a watch that has the identical “Rolex” name on its dial and resembles a Rolex, but is not an actual Rolex and yet is fraudulently passed off as authentic, is therefore counterfeit and illegal. In this type of case, the watch is meant to be deceptive, and is a fraudulent imitation of the real thing with the intent to defraud. A contrary situation is one where, the watch truly is an authentic Rolex, but has been replaced with a non-Rolex dial. This does not necessarily render it counterfeit, because it is not an imitation or identical to Rolex, because it is a genuine Rolex. While there are replacement parts, perhaps because it is an older piece and the parts are no longer available, these parts do not make the watch counterfeit. Every scenario is different and intent always is the key player. When a purse is created and manufactured to look like a Chanel original, but it actually isn’t, this is counterfeit, because the Chanel logo is protected, as is Rolex. When a true Chanel gets some maintenance done, perhaps some stitching, that does not render the purse counterfeit. Counterfeit is a criminal offense and should not be treated lightly. Counterfeiting is a class C felony, under federal law, and is punishable with a fine up to $250,000 and up to 12 years in federal prison. To be held criminally liable for counterfeiting, the seller must have had actual or constructive knowledge that the product was counterfeit. Constructive knowledge is where they reasonably should have known under those particular circumstances that the goods were counterfeit. Angie Kandil is a graduate of Widener University School of Law-Delaware, where she earned her JD and received the Pro Bono Recognition Award. While attending Rutgers University, Angie majored in Journalism and Mass Media Studies and Political Science. Formerly a journalist, Angie’s love and passion for communication and journalism law is the propelling force behind her decision to attend law school and is now the drive behind her interest in all things intellectual property.